Ships accounted for about 3 per cent of global carbon dioxide (CO2) emissions from 2007 and 2012, according to the International Maritime Organization (IMO), the United Nations agency that oversees international shipping. However, CO2 emissions from shipping are projected to roughly double by 2050 and are concentrated in East Asia, where shipping accounts for as much as 16 per cent of total CO2emissions. Nearly half of those emissions occur in the East China and South China Seas, where 40 per cent of the world’s seaborne trade took place in 2015. Overall, the ICCT estimate that CO2 emissions from global shipping increased from 910 to 932 million tonnes, or about 2.4 per cent, from 2013 to 2015. The top six flag states collectively emitted over half of total shipping CO2, with China ranking second (11 per cent) after Panama. Ships registered to China and Hong Kong also emit significant amounts of local air pollutants. Open registries, which allow a merchant ship to register far from where it is owned and operated, make it difficult to calculate the magnitude of shipping emissions. For example, The United Nations Conference on Trade and Development (UNCTAD) estimates that China was responsible for 24 per cent of container goods movement worldwide in 2014. China is moving ahead by putting in place a series of domestic policies to control air pollution from ships and ports. In August 2015, the Chinese Ministry of Transport (MoT) released its Action Plan to Control Air Pollution from Ships and Ports (2015-2020), which aims to reduce shipping air pollution in three coastal port clusters by up to 65 per cent by 2020. Fuel use at berth accounts for less than 10 per cent of air pollution in the greater Pearl River Delta region, compared to 63 per cent within the 12 nautical mile zone. In other words, the expanded DECA requirements will cover seven times as much air pollution starting with significant air quality and health benefits. A Chinese ECA would reduce sulfur oxide (SOx) emissions by an additional 80 per cent and could also cover NOx emissions. This would be an important step to improve local air quality and to protect human health in East Asia. An ECA would also establish an additional incentive for ships to become more energy efficient to manage fuel costs, reducing GHGs at the same time. Some of the DT Kings transport trucks coming onto Tweed St off the Stead St bridge. 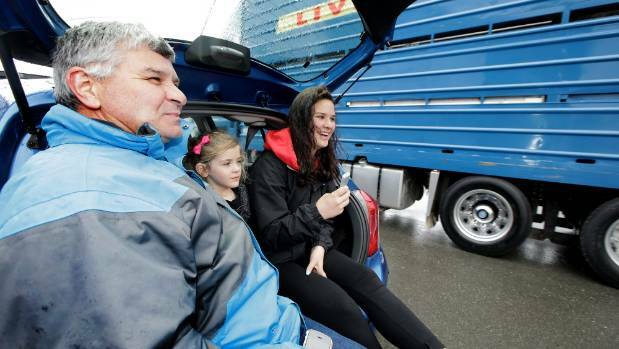 Southlanders defied the cold wind and rain to see the finest big rigs from Southland parade through the city. 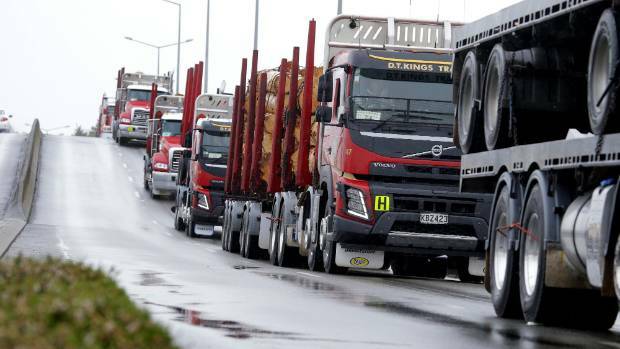 About 120 trucks took part in Southland’s annual truck parade on Sunday, with people lined up along Tweed and Bond streets to get a glimpse. 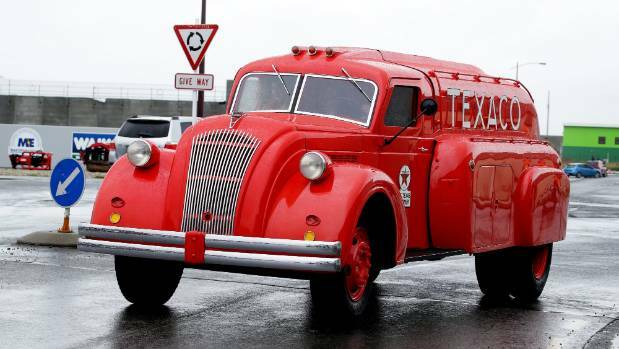 The star of the show was the one-of-a-kind “Tex” the Texaco truck from Transport World. 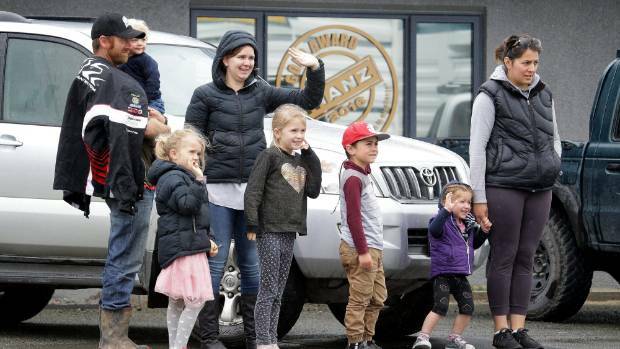 Watching the trucks on Bond St are, from left, Lyall Goodwright, holding Austin Goodwright, 1, Olivia Goodwright, 6, Jessica Goodwright, Lilly Goodwright, 8, Declyn Cockery, 6, Eelah Cockery, 2, and Chontelle Kamana, all of Wrights Bush. Although the weather conditions were less than favourable, it did not stop the Southland crowd turning out for the event. “We’re not going to melt,” Purdue said. Trucks rounding the roundabout onto Tweed St, showing the many spectator cars parked in the centre island. The turnout of 120 trucks for the parade was pretty good considering how busy the road transport industry was at the moment, Purdue said. A group of about 20 classic trucks from Christchurch and Timaru travelled down to be a part of the show, Purdue said. Southland Transport Invercargill Truck Parade 2017 King Rig winner Cole Frew from Eden Haulage did such a good job on his truck he had the judges scratching their head. The Bill Richardson Transport World Dodge Airflow Texaco truck on it’s first ever outing in the city, coming onto Bond St.
Purdue said he was impressed at the detailing of the truck and said nothing was missing. The competition had been tight, with the runner-up Ricky Rodgers from Summerland Express Freight only missing out by points, he said. Eden Haulage also managed to take out the best fleet by only three points, Purdue said. Doug Ronald, Esme McCleery, 5, and Natalia Ronald shelter in the back of their car to watch the trucks pass on Bond St. 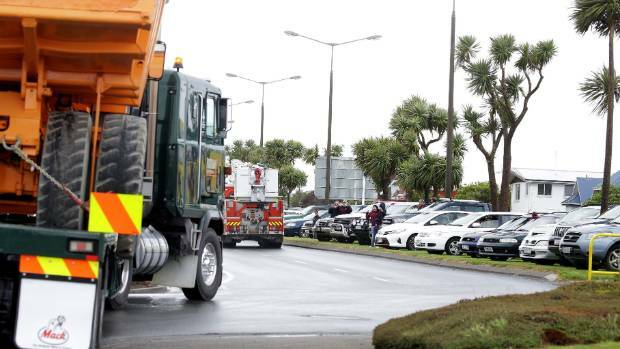 He had been organising the parade for 15 years now and said the event had been going strong for nearly 35 years because transport operators were loyal to Southland. It was their dedication that has kept the parade going, he said. Some drivers spent hours working on their rigs to get them show ready for the annual parade, Purdue said. You’ve heard of self-driving cars, driverless trucks, and airliners that fly on auto-pilot – how about autonomous ships? New Zealand interest in the technology – which could allow ships to sail with no one, or just a handful of people, on board – is growing along with international developments. The world’s first autonomous container ship, built by shipping and aerospace company Kongsberg, will carry fertiliser from next year along coastal routes in Norway, while Rolls Royce Marine has signed a deal with Google to help with the technology for piloting autonomous ships. But these vessels won’t be modern day ghost ships, a mournful echo of the Marie Celeste. New Zealand Maritime School industry training manager Kees Buckens said they would be state of the art vessels with sophisticated methods of avoiding a collision. They would use radar and GPS, as well as new systems linked into infrared cameras that scan the water around the vessel, he said. “These would give a very clear picture of anything that is on the water from a small log or boat to large ships,” he said. This information would enable ships to take evasive action to avoid any obstacle. Such vessels would be very safe, since 80 percent of marine accidents were caused by human error, Mr Buckens said. While one or two people might be needed to keep an eye on the computers, they would not necessarily be on the vessel, but could be in an office thousands of kilometres away. Kongsberg chief executive Geir Håøy said the company had been working on autonomy for decades. New Zealand Shipping Federation spokesperson Annabel Young said the message from a recent Auckland seminar on the future of shipping was that there would be no “big bang” of autonomy. “There will be an incremental development where people work out which routes and which type of cargo is best suited to an autonomous vessel. The ship was due to arrive in the Port of Tauranga early this morning. File photo. A container ship has been prevented from entering New Zealand waters after several moths were found on board. The ANL Warragul was heading to the Port of Tauranga from Sydney when the insects were discovered. A Ministry for Primary Industries spokesperson says a number of dead and live moths have been found on board the vessel. “We haven’t identified the moths yet, so we don’t whether they’re regulated or not. The vessel is currently outside the 12 nautical mile mark, so they’re not currently in New Zealand territorial waters. According to the shipping schedule, the ANL Warragul was due to arrive in port at 5am this morning, and depart for Papeete, Tahiti at 10pm. 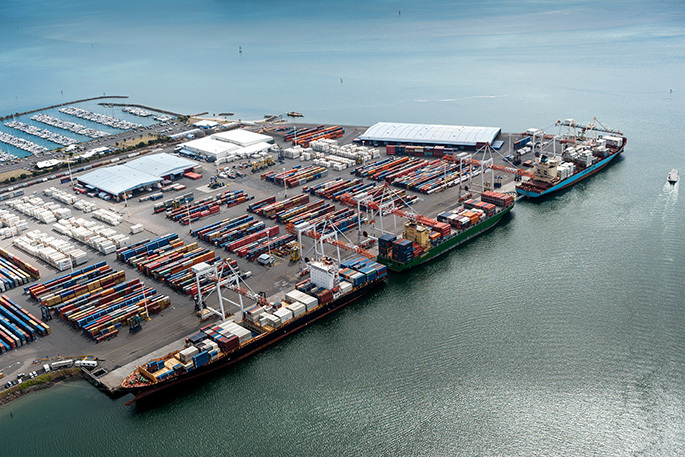 The Port of Tauranga directed all SunLive enquiries to MPI. A freight train near Wingatui, both south of Dunedin. New Zealand’s road and rail transport networks have been found wanting. ODT senior business reporter Simon Hartley talks to Westpac’s new industry economist Paul Clark about the country’s road and rail. Internationally, New Zealand’s roading network is ranked 40th out of 137 countries while the rail network comes in at 47th, the latter behind Poland and Hungary. The data comes from the World Economic Forum’s recently published global competitiveness index report. It ranks New Zealand’s overall competitiveness as 13th out of the 137 countries. However, Westpac’s industry economist Paul Clark said the data showed companies were ”dissatisfied” with the state of road and rail. ”The quality of our road and rail networks was identified as one of a number of weak spots in our overall competitiveness,” Mr Clark said. New Zealand has 95,000km of road, including 11,000km of state highways. Rail is 4100km in length. New Zealand has for more than a decade been spending $5billion a year in these areas, most of it on road and rail infrastructure. Firms operating in New Zealand had for 2017-18 rated the quality of the country’s roads as the same as 2009-10, meaning ”no change in quality over the past eight years,” he said. ”This is not a one-off. ”For a number of years an inadequate supply of infrastructure has been seen by firms as being the biggest hurdle for doing business in New Zealand,” Mr Clark said. He said the importance of having a high-quality land transport network could not be overstated, both for domestic use and getting exports to the rest of the world. ”When working well they can make a significant contribution to New Zealand’s economy . . . but when not, they can constrain the economy’s growth and prosperity,” Mr Clark said. About 82% of New Zealand’s roads were open to ”high productivity vehicles”, or heavy commercial traffic. They have a capacity to carry from 44 tonnes to a maximum 62 tonnes. ”These vehicles help freight operators move more freight with fewer trucks, at lower cost,” Mr Clark said. Unsurprisingly, those vehicles account for more than 30% of heavy commercial traffic, he said. Mr Clark said the capacity of the road network against demand for travel had only ”edged higher” in recent years. The country’s relatively strong domestic economic performance had underpinned the growth in demand. ”Much of this [annual $5billion] spending has been focused on addressing an infrastructural deficit caused by chronic under-investment in the 1980s and 1990s,” Mr Clark said. The spending had increased the road network capacity and helped to maintain it in ”tip-top” condition. But it had not always been enough to handle some of the large increases in traffic, at least without some deterioration in network performance. While progress had been made on rail and road public transport, particularly in Auckland, there had only been ”limited progress” on freight – with almost 85% moved around the country by road. ”There’s good reason for this. Road is not only cheaper than rail, it also provides a convenient door-to-door service,” Mr Clark said. By contrast, rail typically involved road-bridging freight to a public freight yard or container transfer facility, or investing in and servicing customer rail sidings. ”Either of these takes time, money and logistic effort. Earlier this week, Port Otago floated the idea of eventually having State Highway 88, between Dunedin and Port Chalmers, truck-free, but rail would have to be embraced to achieve that end. While neither the data nor Mr Clark delved into the political scene, whichever government is formed money will still need to be spent on national transport. National has roads as its priority but Labour, the Greens and New Zealand First all favour upgrading New Zealand’s rail. As at 24/10 we have very little detailed information about the nature of the transport related items in the coalition deal Labour/NZ First, and the confidence and supply deal Labour/Greens. Congratulations to the winners of awards at the recent CILT awards presentation dinner. The full list of winners, along with photos, is here.